Real Performance Machinery L.L.C. Indianapolis, Indiana has released its new Electric Revolution 14 Color Press. Demand from customers looking for a 14 color version of the successful 8 and 10 color models has now been meet. Success of this rugged machine has been related to the serious nature of the Revolutions industrial design and overwhelming cutting edge digital features. The new Color Electric Revolution is fitted with an Electric Servo Crank for low maintenance and high speed performance. Digitally controlled and set Central Off Contact. 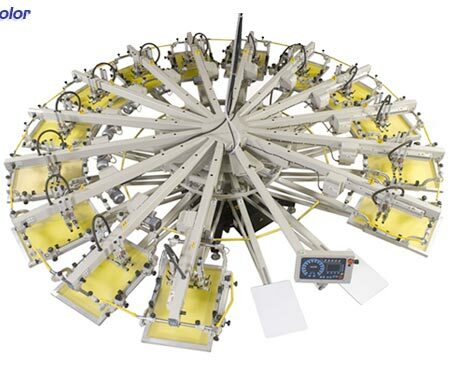 Electric driven prinheads for consistent power and digital control of stroke settings (No Proximity Switches or Shock Absorbers) Digital Squeegee / Flood speeds. 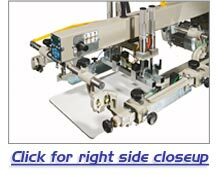 Digital Squeegee Pressure and Angle Readouts. Programmable multi-stroke settings per head (5x). Timed flood, zoned quartz instant on/off flashes...all controlled by custom interface panels made to make changing parameters quick and easy. 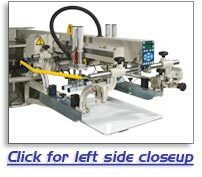 Other features include independent Squeegee Floodbar lift and side screen holders for easy flash insertion and screen removal even with the squeegee and floodbar in position. So if having the most in the latest digital controls on a press that has the smartest mechanical features sounds like what you are looking for...... check out the growing line up of presses from RPM. Foot speed in inches per second. Displayed even at rest. Print speed displayed in inches per second. Displayed even at rest.